To Be or Not Be: Should Tibetans in India Assert Indian Citizenship? During Hu Jintao’s visit to Delhi in March 2012, about 200 Tibetans found themselves summarily detained for peacefully expressing their views. This includes well-known Tibetan activist Tenzin Tsundue, who was arrested as he was participating in a seminar, supposedly because of his past “notorious activities ”. The legal authority to detain these Tibetans came under the Foreigners Act, and specifically under a 27 March 2012 order of the local Foreigners Regional Registration Office. This makes clear again that stateless Tibetans in India are merely considered “foreigners”, lacking even the protection of being officially designated as “refugees”. Incidents such as this, we believe, show need to discuss how the Tibetan people and their exiled government plan to protect themselves if political circumstances cause them to remain in India for another generation or more. In this editorial, we examine an important part of this discussion: whether or not some tens of thousands of Tibetans in India should assert the Indian citizenship that, as a legal matter, they have automatically held since birth. The Delhi High Court has made clear that any Tibetan born in India between January 26, 1950 and July 1, 1987 (and likely their children too) are automatically Indian citizens from the moment they were born. Let us repeat: Any Tibetan born in India between these dates in 1950 and 1987 is already an Indian citizen. They may have to prove it (as discussed below), but this citizenship is theirs by birth, not anything they have to apply for. In fact, this citizenship is legally theirs whether they want it or not, unless they take steps to actively renounce it. While the Delhi High Court’s holding only applies directly to the Delhi area, its jurisdiction includes the Home Ministry headquarters, and its ruling is based on the Citizenship Act that applies nationwide. The Court’s holding is a precedent for Tibetans anywhere in India to make the same case. Obviously, a corollary point is that any Tibetan who was born after July 1987, or who came to India from Tibet, is not automatically an Indian citizen. And indeed the Home Ministry’s apparent policy against naturalizing Tibetans means that these individuals are likely to remain stateless. This editorial is not intended to be a “how to” on asserting Indian citizenship (if any Tibetan wanted to) nor are we qualified to give legal advice on it. We also do not take a position on whether or not any Tibetan should take this step. Lhagyari proved her citizenship in the process of applying for an Indian passport, and this strikes us as a conclusive way. Should Tibetans Assert Indian Citizenship? On one hand, Tibetans uniformly recognize the generosity of the Indian government and people in hosting over a hundred thousand Tibetan refugees. On the other hand, India has not ratified the Refugee Convention, and has chosen not to extend full civil rights to stateless individuals living on its soil. India can act how it wants toward stateless Tibetans because it considers them merely “foreigners” or “guests”, and guests can always be asked to leave. It is this fundamental vulnerability that drives the strongest argument for Tibetans asserting Indian citizenship. Yes, there are personal benefits to doing so. But most pressingly, the reality is that Tibetan refugees – and even the Tibetan government-in-exile (TGIE) – exist in India only with the continuing tolerance of the Indian government. As long as Tibetans remain merely stateless foreigners rather than citizens, India’s policy can change … just as Nepal’s did. India’s current tolerance of the TGIE dates back to the personal relationship between His Holiness the Dalai Lama and Prime Minister Nehru. Nehru considered His Holiness an “honored guest.” Yet Nehru passed away in 1964; when His Holiness is no longer in his present incarnation, then the basis for this “honored guest” relationship will have disappeared. India has certainly been incredibly generous in her treatment of Tibetan refugees. The land given (leased freely) to the Tibetans for use for their settlements is just one example. But not too far in the distant past, Nepal too was a haven for Tibetans. What will happen later if, for instance, India places greater restrictions on the TGIE to smooth relations with China? What if India starts to question the benefit of hosting an administration-in-exile run by a group of stateless refugees? What if India simply starts shutting down the TGIE’s political components, or bans certain overseas Tibetans from entering India to stymie the TGIE’s operations? Whether or not things get as bad as in Nepal, the fate of the Tibetan community will be out of its own hands. Buddhism teaches impermanence. Prudence demands that the possibility be considered that any change in India’s policy towards the TGIE may not be for the better, as far as Tibetans are concerned. 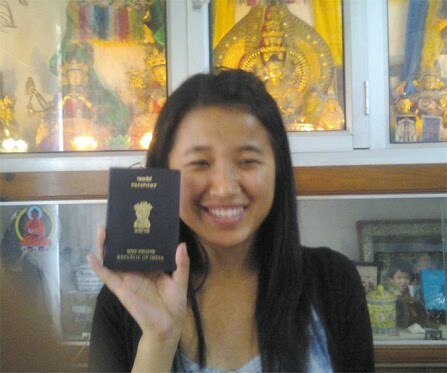 Tibetans asserting Indian citizenship may place the TGIE’s future in India on safer ground. The functions that the TGIE carries out may change over time, based on the needs of the Tibetan refugee diaspora. The TGIE should care for Tibetan refugees so long as there is a practical need to do so. However, the TGIE’s paramount legal purpose has always been to embody the legal continuation of the sovereign government of Tibet. This is the key purpose of any government-in-exile (during World War II, some governments-in-exile were just a small office in London). The TGIE’s ability to carry out its paramount task to hold Tibetan sovereignty must be protected. It may be safer for the TGIE to be run largely by Tibetans who hold Indian citizenship, compared to being an organization of stateless “foreigners”. If Tibetans in India attained citizenship and became, in the eyes of the Indian government, the same as its other citizens, would there be any changes towards its land policy for Tibetan settlements? What about separate Tibetan schools? These are questions for discussion with the Indian government. It may also be argued that while the Tibetans in India are stateless and ‘registered’ as foreigners in India but not citizens of India, these Tibetans’ primary legal obligation as citizens can be seen as being towards TGIE and that this fact significantly bolsters the legitimacy of TGIE. Once these Tibetans are documented as citizens of India, their primary legal obligations as citizens will be towards India (as Tibetan Americans’ primary legal obligations as citizens are towards America, and in the event of a nationwide draft, can be called upon to take arms in American defense). On the other hand, with dual-citizenship, a Tibetan can have duties to both the TGIE (the representative of Tibet’s continuing sovereignty) and another country. If the hundred thousand plus Tibetan refugees in India—stateless refugees waiting to go back to Tibet—became Indian citizens, will it detract urgency from the Tibetan issue, in the minds of both Tibetans and the international community? How will it be perceived inside Tibet? What are the costs and the benefits to the Tibetan community in India? Why should Tibetans in India not consider Indian citizenship when Tibetans in the west enjoy the security and benefits of citizenship while still considering themselves Tibetan? The TGIE must continue until Tibet is again ruled by Tibetans, but we should not assume that it must always continue in its exact current form. Some (including Kalon Dolma Gyari who herself holds Indian citizenship) have argued that Tibetans remaining stateless leads to material benefits. Even if Tibetans remain stateless, however, their material position in India is fundamentally at risk once His Holiness is longer with us. Any change in India’s policy towards stateless Tibetans is unlikely to be for the better. Additionally, it is important to weigh the material benefits of statelessness with the material benefits of citizenship. With citizenship, a large number of Tibetans born in India may no longer be treated as second-class “foreigners”, including activists or young Tibetans fired from call centers. On March 29, 2012, the Delhi High Court issued a ruling criticizing the Delhi police for rounding up Tibetan-looking Indian citizens, in addition to stateless Tibetans. By implication, the police were entirely within their rights to preventively detain stateless Tibetans, but not anyone with Indian citizenship. As citizens, Tibetans born in India between January 1950—July 1987 would be entitled to other benefits such as an Indian passport. Other restrictions also potentially disappear; for example under the Himachal Land Act, any Indian citizen living in Himachal Pradesh (HP) prior to 1972 has the right to own land in that state. So, if a Tibetan in Dharamsala is actually an Indian citizen, and has been living in HP prior to 1972, then he/she would no longer have to resort to “benami” but can own land in his/her own name. As citizens, there would be no need for Tibetans born in India between January 1950—July 1987 to periodically renew a Registration Certificate (RC), or to seek an Identity Certificate (IC) for foreign travel with all the burdens that carries. RC issuance is discretionary and is not a right, and the Indian government could very well decide one day that it no longer wants to renew them, even if the possibility now may seem remote. Finally, if Tibetans were to assert their Indian citizenship, they might save their children from a life of statelessness. 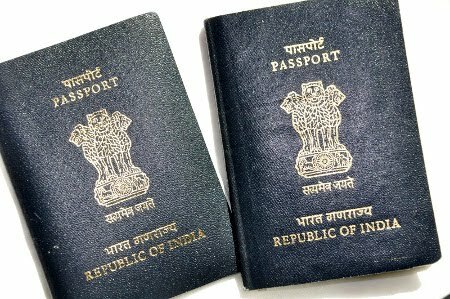 Their children born after 1987 may be entitled to Indian citizenship, but only by virtue of the parent’s Indian citizenship. The current Kashag can certainly appreciate the merits of citizenship. 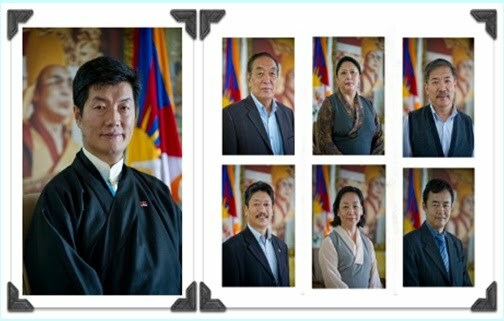 Dicki Chhoyang holds Canadian citizenship, Dolma Gyari holds Indian citizenship, Pema Chhinjor holds American citizenship, and Lobsang Sangay holds an American Green Card (making him eligible for American citizenship). Would This Make Tibetans Less Tibetan? No. Legally, applying for an Indian passport does not make one any less Tibetan, because the Tibetan Charter (Tsatrim) allows for Tibetans to take other citizenship. Societally, it is common practice for a Tibetan to hold American or Canadian citizenship, or for a Tibetan in Tibet to hold Chinese citizenship. Why not a Tibetan holding Indian citizenship? There should not be a societal double standard. The true test of Tibetan citizenship should be whether one holds a Green Book issued by the TGIE, not whether one also has another passport. What Role for the Tibetan Government and the Sikyong? What next? The TGIE should make clear that it no longer subscribes to the double-standard of the past, where Tibetans in the West were encouraged to take foreign citizenship while Tibetans in India were encouraged to remain stateless as a misguided mark of patriotism. (Although then Prime Minister Samdhong Rinpoche personally disapproved of Tibetan resettlement in the west, Tibetan government policy implemented the resettlement and in fact loaned most of the first 1000 Tibetans the money for the airfare to America.) It is time to face reality. This requires a shift in attitudes, as well as TGIE policy changes. 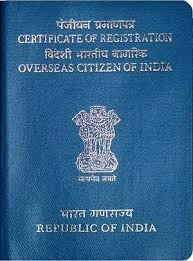 For example, currently Tibetans in India must generally show their RC in order to get a Green Book . This policy has the (unintended?) effect of encouraging Tibetans in India to live a stateless life, and it is discriminatory. Tibetans in the West are not required to remain stateless to get a Green Book. The TGIE should revise its Green Book policy in India to do away with a requirement of an RC. Similarly, many benefits the TGIE gives to Tibetans in India require an RC. For example, most scholarships processed by the TGIE, and admissions to Mentsekhang and Sarah Institute, generally require an RC. (Interestingly, the U.S. government’s own regulations on Tibetan Fulbright scholarships do not care whether an applicant has an RC). The TGIE’s RC requirement should be re-assessed. Does the TGIE want to limit these benefits only to truly stateless refugees rather than Tibetans with Indian citizenship? Perhaps. But before making that policy decision, it should be recognized that the current policy again has the effect of encouraging Tibetans in India to live a stateless life. As stated, these policies might not necessarily be designed to encourage Tibetans to remain stateless, but that is certainly the practical effect. The implicit argument of this policy is that a Tibetan who takes Indian citizenship is suddenly ineligible (or unworthy) of benefits extended to other members of the Tibetan community in India. This does not sound like a compelling argument. Indeed, it seems to us that it would be more legitimate to link benefits to the possession of a Green Book (which is issued by the TGIE) rather than an RC (which is issued at the discretion of the Indian Government). Given that half of the current Kashag holds foreign citizenship (including one Indian national) and the Sikyong holds a U.S. Green Card, it is questionable if statelessness should really be seen as a marker of patriotism. And having Indian citizenship will mean that, even if Tibetan leaders move out of India and adopt other citizenship, they can always access rights and privileges as an "Overseas Citizen of India " to put them in a much stronger position to travel, live, and work in India. Indeed, Sikyong Sangay himself (born 1968, Darjeeling) is legally born an Indian citizen, as well as an adopted American permanent resident. However, many people remember the rhetoric about the then-candidate's IC during the 2011 election campaign, and this continues to inform some people’s attitudes about patriotism. If the Sikyong were to make a reassessment of his prior statements linking patriotism and statelessness, that would reinforce helpful attitudes to the benefit of the long-term interests of the Tibetan people. While the TGIE deals with these policy changes, it should establish a “Task Force on Legal Status Questions for Tibetans in India”. These questions lay at the intersection of law and policy; a task force would be well-paced to review Indian law, the TGIE’s policies, and the needs of Tibetans in India. The task force should be geared practically to address issues that Tibetans face in India, including questions of citizenship, land-owning rights, and any related matter that would help establish and solidify Tibetans’ status in India. Tibetans born in India between January 26, 1950—July 1, 1987, and likely their children, are legally Indian citizens from birth. As a matter of Indian law, Tibetans born in India during this time automatically hold Indian citizenship and retain it unless they actively renounce it. Unless one formally renounces Indian citizenship, one does not stop being an Indian citizen. As a practical matter, however, these Tibetans are viewed as stateless refugees until they actively assert their citizenship birthright. We purposely tried to avoid taking a position on the key question of whether eligible Tibetans should assert their Indian citizenship. If they do, it may have benefits for themselves, and perhaps more significantly it may help put the TGIE on a safer foundation in the future. On the other hand, this action holds very real potential downsides, including a threat to how some may perceive the TGIE’s legitimacy, or at least how it currently operates. Our entire editorial board, excepting one, holds American citizenship—we consider ourselves no less Tibetan because of that. We have but scratched the surface of the matter. We understand that there may be significant political or strategic issues that are not addressed in this short editorial. But this is an issue that may well have material effect on Tibetan lives in India, as well as significance for the continuation of both TGIE and the Tibetan struggle. We urge all Tibetans, and the TGIE, to engage in a serious debate on this issue while there is still time. This should include the TGIE’s establishment of what we propose as a Task Force on Legal Status Questions for Tibetans in India.